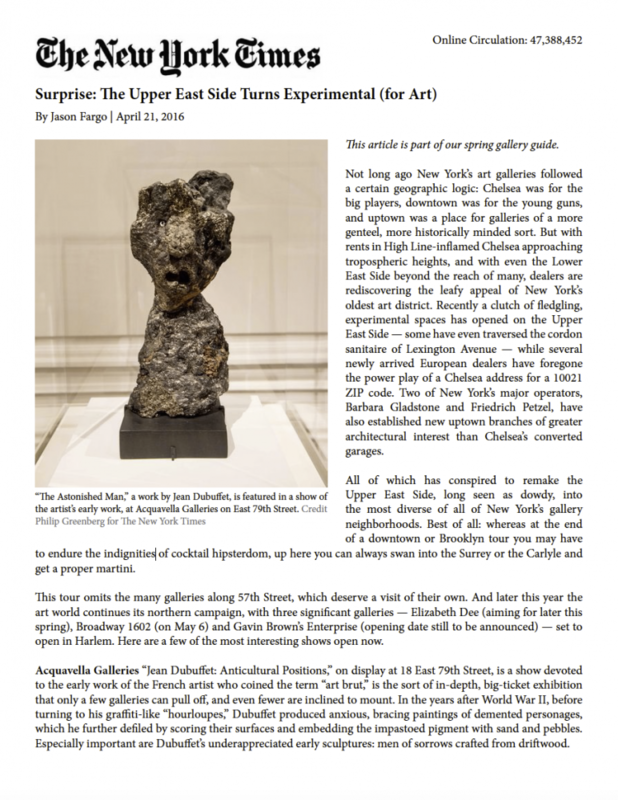 Not long ago New York’s art galleries followed a certain geographic logic: Chelsea was for the big players, downtown was for the young guns, and uptown was a place for galleries of a more genteel, more historically minded sort. But with rents in High Line inflamed Chelsea approaching tropospheric heights, and with even the Lower East Side beyond the reach of many, dealers are rediscovering the leafy appeal of New York’s oldest art district. Recently a clutch of fledgling, experimental spaces has opened on the Upper East Side — some have even traversed the cordon sanitaire of Lexington Avenue — while several newly arrived European dealers have foregone the power play of a Chelsea address for a 10021 ZIP code. Two of New York’s major operators, Barbara Gladstone and Friedrich Petzel, have also established new uptown branches of greater architectural interest than Chelsea’s converted garages. All of which has conspired to remake the Upper East Side, long seen as dowdy, into the most diverse of all of New York’s gallery neighborhoods. Best of all: whereas at the end of a downtown or Brooklyn tour you may have to endure the indignities of cocktail hipsterdom, up here you can always swan into the Surrey or the Carlyle and get a proper martini. This tour omits the many galleries along 57th Street, which deserve a visit of their own. And later this year the art world continues its northern campaign, with three significant galleries — Elizabeth Dee (aiming for later this spring), Broadway 1602 (on May 6) and Gavin Brown’s Enterprise (opening date still to be announced) — set to open in Harlem. Here are a few of the most interesting shows open now. 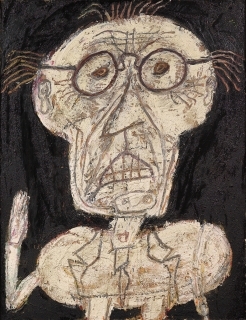 Acquavella Galleries “Jean Dubuffet: Anticultural Positions,” on display at 18 East 79th Street, is a show devoted to the early work of the French artist who coined the term “art brut,” is the sort of in-depth, big-ticket exhibition that only a few galleries can pull off, and even fewer are inclined to mount. 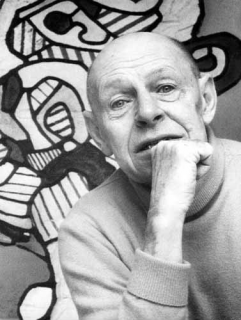 In the years after World War II, before turning to his graffiti-like “hourloupes,” Dubuffet produced anxious, bracing paintings of demented personages, which he further defiled by scoring their surfaces and embedding the impastoed pigment with sand and pebbles. Especially important are Dubuffet’s underappreciated early sculptures: men of sorrows crafted from driftwood.